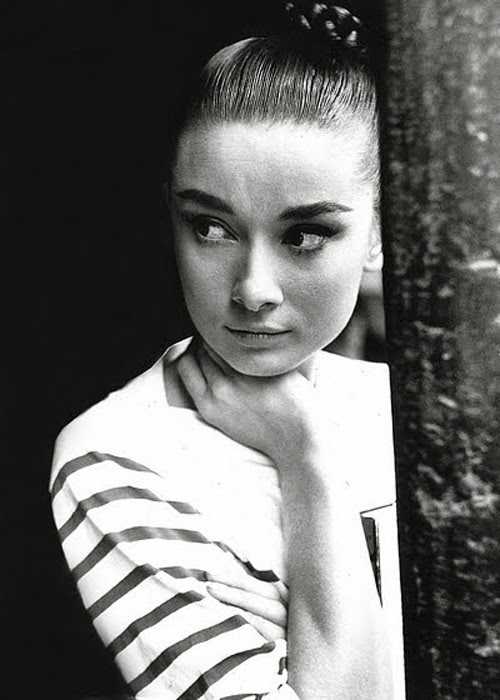 Classic stripes are definitely in season right now for summer and the look has a long history. 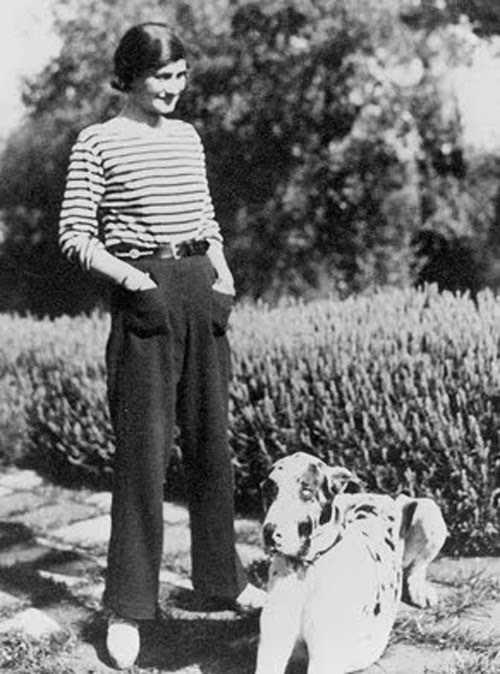 In the early part of the 20th century, Coco Chanel admired the uniforms of sailors in the seaside towns of Deauville and Biarritz where she lived. In a move now known as revolutionary in fashion, she decided to turn their look into the ultimate in French chic. 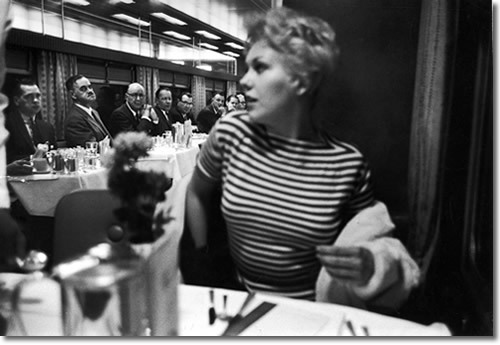 She borrowed both the pattern and even the sailors' knit fabric for her first and future collections...this at a time when women were still locked into layers and layers of uncomfortable dresses. Soon other designers would follow suit and women throughout France enthusiastically embraced the trend. 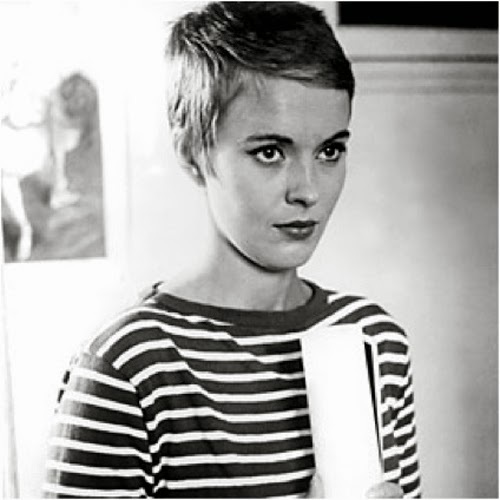 This would eventually include stars such as Brigitte Bardot and Jean Seberg, who wore statement stripes throughout Jean-Luc Godard's French classic film Breathless. 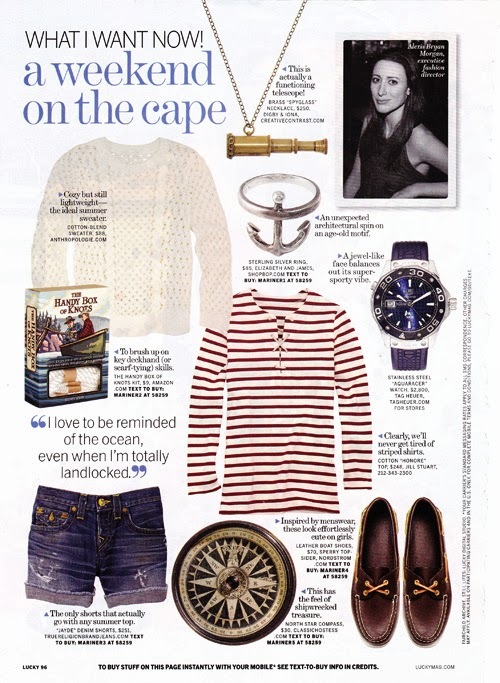 Across the Atlantic, stripes became an essential part of the East Coast preppy style as well. 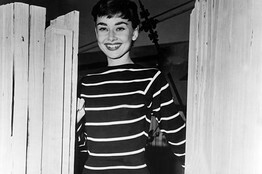 In the 1950s and 1960s, WASP icon Audrey Hepburn donned stripes in America just as often as Brigitte Bardot did in France. 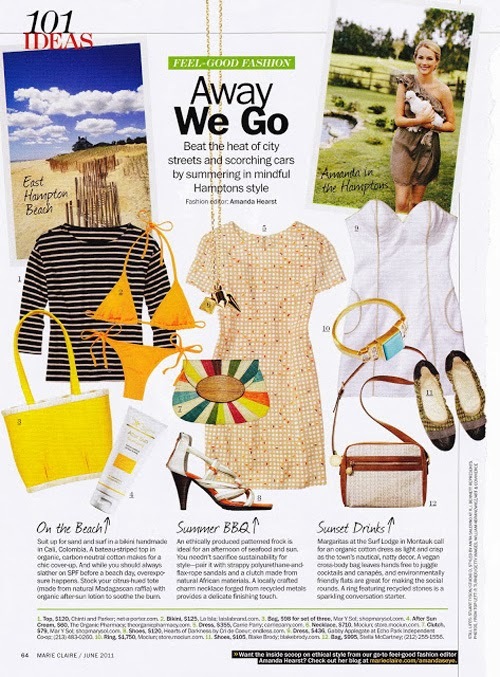 Striped shirts are both classic and surprisingly versatile, able to be dressed up or down. 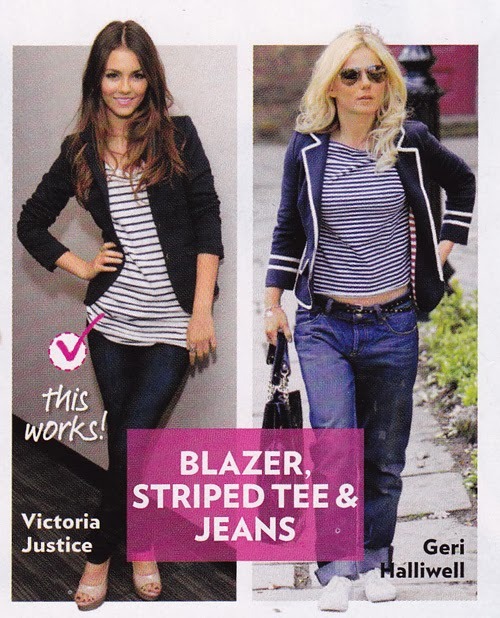 You can pair a top with trousers, skirts, jeans, shorts, and even over a swimsuit as you'll see below. Just this past weekend, I wore mine with black leggings, black patent leather flats, and a matching patent handbag and headband. 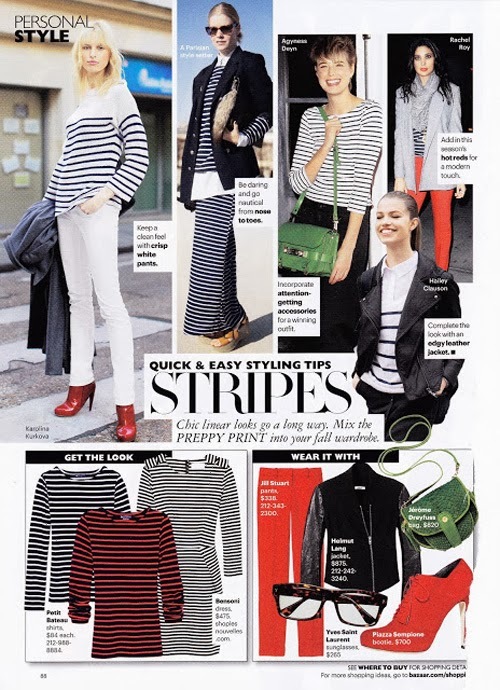 Whether you want the look to say classic Americana or French chic, you will always in style in stripes.